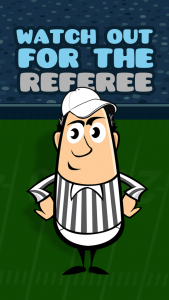 The Wells Report was just released but we knew it all along… “it is more probable than not” that someone tampered with the game balls at the AFC Championship Game! 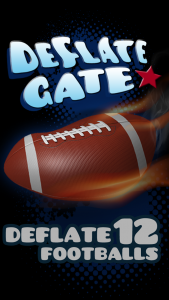 However we’re not here to take sides, we just want to deliver a fun, light-hearted experience without the complexities of a 200-plus page report. 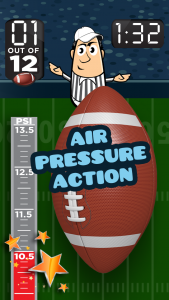 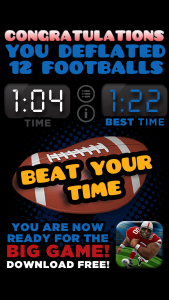 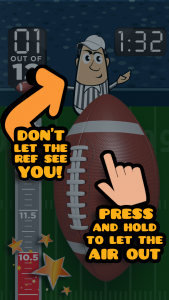 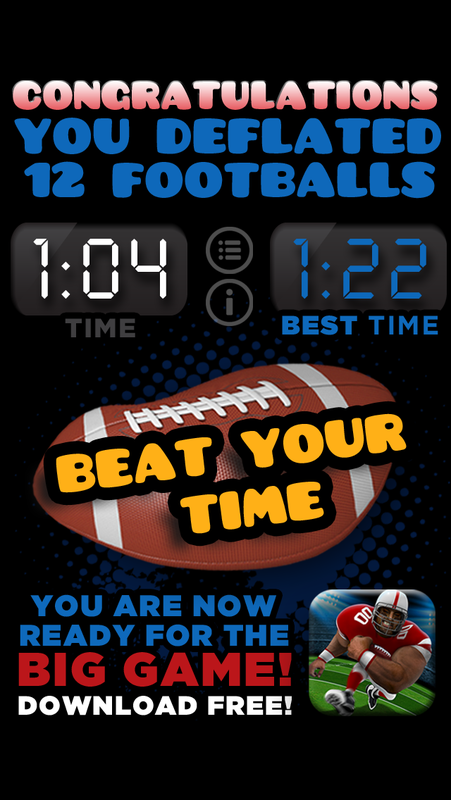 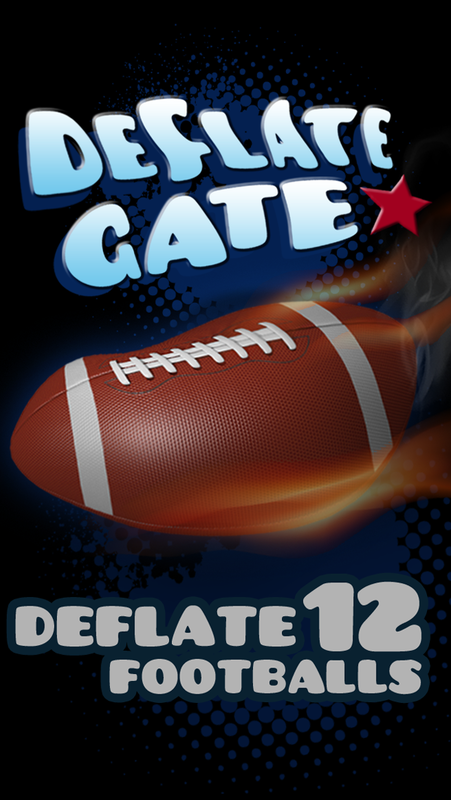 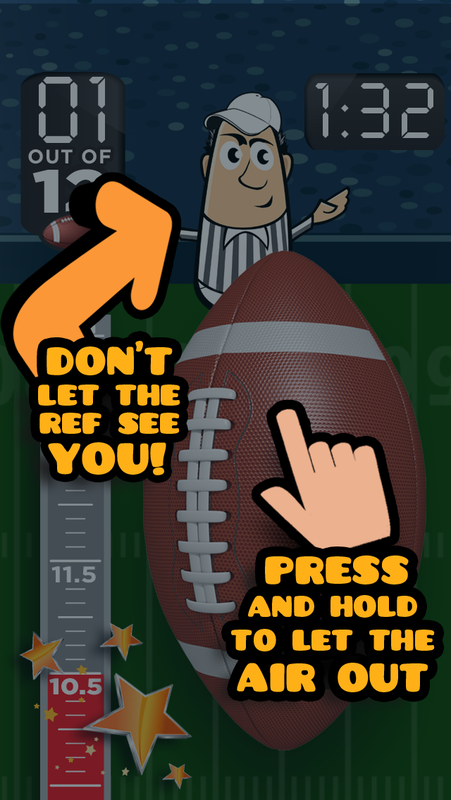 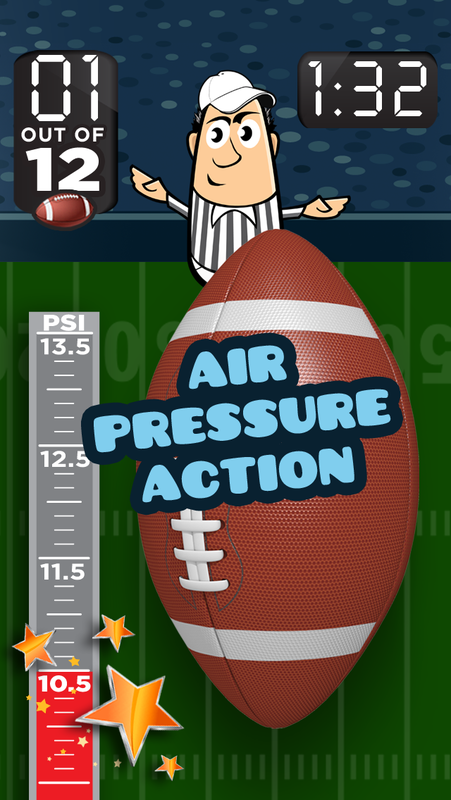 Deflate-Gate lets you take on the role of an equipment employee responsible for deflating 12 footballs down to 10.5 PSI as fast as you can before the big game without being caught by a constantly peering referee. The result delivers fun no matter which team you root for.